Prosecutors say there is "insufficient evidence" to charge anyone after the death of a man detained under the Mental Health Act. 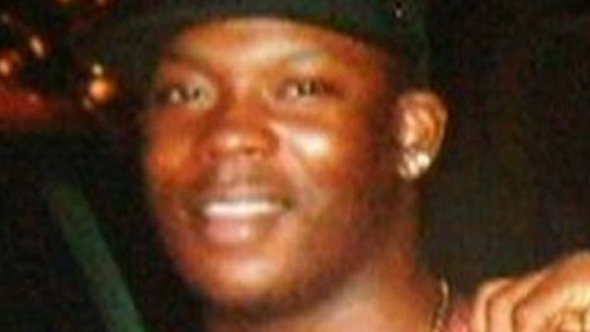 Kingsley Burrell, 29, from Hockley in Birmingham, was detained in March 2011 and died four days later. The Crown Prosecution Service had looked into prosecuting four police officers, two ambulance technicians, three nurses and three doctors. West Midlands Police said it was not the end of the matter. A CPS statement said it had considered offences of unlawful act manslaughter, gross negligence manslaughter, misconduct in public office, assault and wilful neglect of a mentally disordered patient. But it said the evidence showed officers and medical staff were presented with a difficult set of circumstances. "As there is insufficient evidence to give rise to a realistic prospect of convicting any person of any criminal offence arising from the circumstances of Mr Burrell's death, we have advised the IPCC... that no further criminal action should be taken," it said. "We understand that this is not the decision that Mr Burrell's family will necessarily have wanted and we have written to them to explain our decision and have offered to meet with them to discuss this matter should they so wish." Officers originally detained Mr Burrell after attending an incident in the Winson Green area of Birmingham on 27 March 2011. Three days later, officers were called to support medical staff at a mental health unit in the same area following reports of a disturbance involving Mr Burrell. He was transferred to hospital but died on died on 31 March. Assistant Chief Constable Garry Forsyth, of West Midlands Police, said the force noted the CPS's findings and awaited the findings of an ongoing Independent Police Complaints Commission investigation. "We do not underestimate the impact Mr Burrell's death and the subsequent investigation has had on Kingsley's family and wider community, and we continue to extend our condolences to the family," he said.